In 1892, my grandfather, Thomas Crowley, bought a Whitehall rowboat and went into business for himself shuttling personnel and supplies between the San Francisco waterfront and the tall sailing ships that would anchor in San Francisco Bay. It was a very physically demanding job, requiring a strong back and arms because business was typically won by the boatman who could row out to the ships faster than his competitors. Fortunately, my grandfather was physically and mentally strong, with an unfaltering work ethic, and he won his share of business. 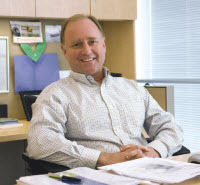 From these humble beginnings grew the company we know today as Crowley Maritime Corporation. 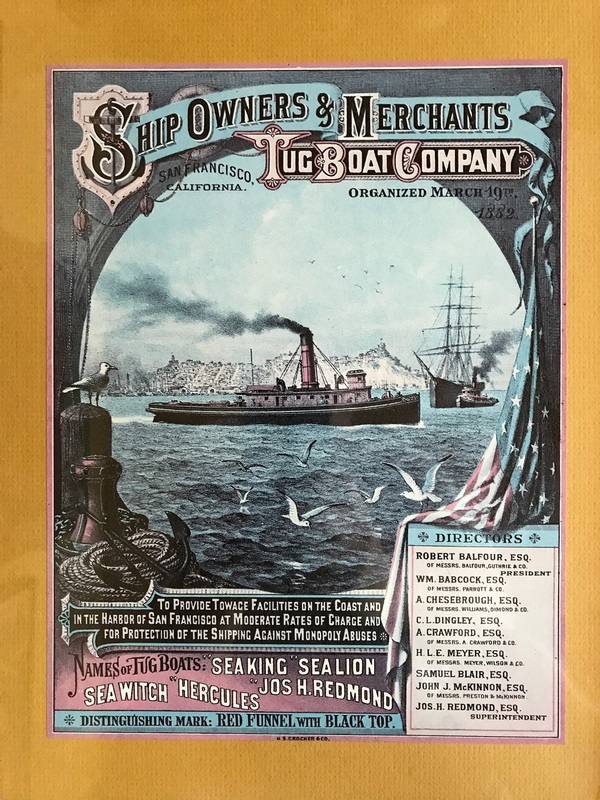 From the collection of Tom Crowley, chairman and CEO, this poster features the Ship Owners & Merchants Tugboat Company, an early operator of the Red Stack tugs. Crowley acquired the company in 1913 and the “red stacks” continue to be represented on tugs today. Crowley’s first regular cargo transportation service between Alaska and the Lower 48 states began in 1958, the year Alaska became the 49th state of the Union. The Alaska Railroad sought a water carrier that could move cargo from Seattle to Alaska and Crowley obliged. 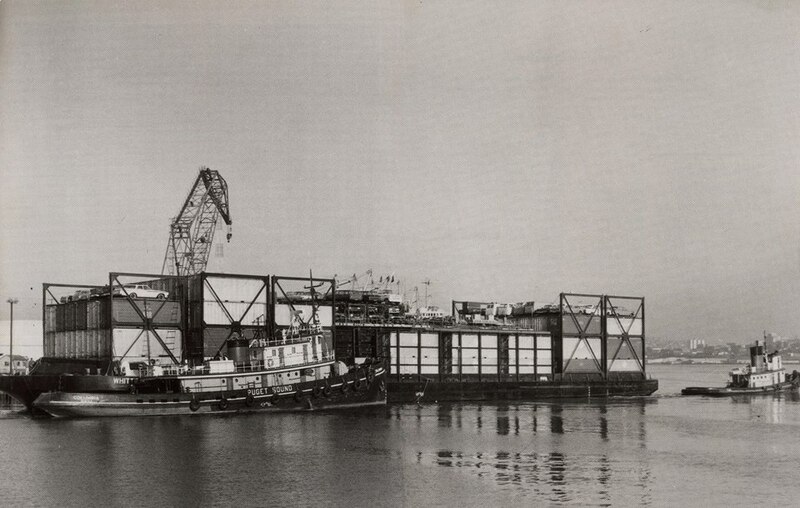 For many years, Crowley loaded containers and breakbulk cargoes in Seattle (shown) and transported them to Seward for movement inland before exiting the trade to focus on other core services. In 1984, Crowley thought big to better serve customers in the Puerto Rico trade. 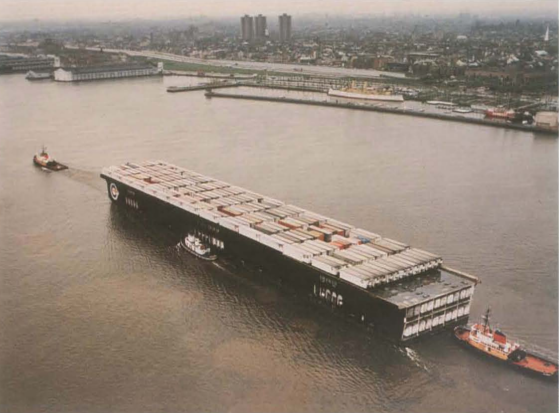 The company “stretched” five triple deck barges from 400 to 730 feet, increasing the capacity of each vessel by 78 percent. 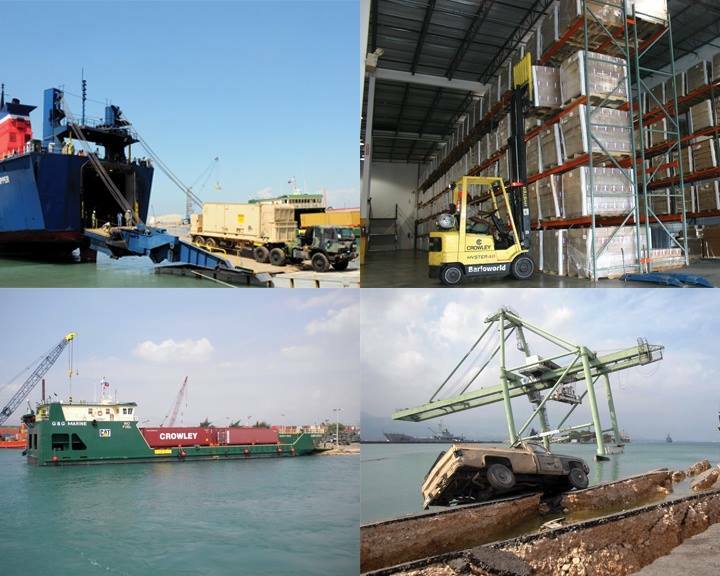 All five barges were put into service for Trailer Marine Transport in the Caribbean trade between the U.S. mainland and Puerto Rico. Thinking big continues today with Crowley’s development of innovative LNG-powered ConRo ships, which will serve the U.S.-Puerto Rico trade in the future. In August 2013, Crowley committed to diversifying its fleet of petroleum vessels beyond its successful ATB fleet by constructing six new 330,000-barrel product tankers at Philly Shipyard. The Pennsylvania and Florida, which are now being managed by Crowley on behalf of Kinder Morgan, had the first Tier II large-bore engines. The next four – Louisiana, Ohio, Texas and West Virginia – were the first ever to receive the American Bureau of Shipping’s (ABS) LNG-Ready Level 1 approval and are operating under the Crowley flag in the coastwise trade. Take a video tour of the West Virginia, one of these modern marvels, which was delivered in late 2016, in the video above.